So when did it become necessary to have “proof of life” for a Supreme Court Justice? Just show us the body and bury the poor thing if she is dead. 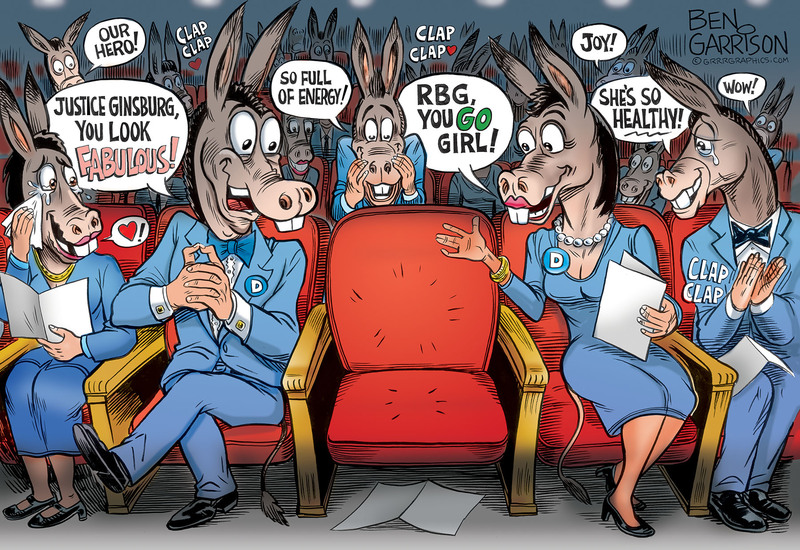 Ruth Buzzy Ginsburg, aka “Where’s Waldo-Ruth ? ?” is supposed to have ruled in the case of June Medical Services v. Gee and the application for a stay, which is Supreme Court Case Number 18A774. The ruling denying a stay of the District Court order was decided 5-4, which means that all nine Justices decided the case. If all nine decided, that means that Ruth Buzzy Ginsburg was one of the ones who decided the case. Proof of life is exactly what is necessary to prove the validity of her “decision” in this case…. Where is it ? Why isn’t the Attorney General for the State of Louisiana demanding “proof of life” as a validation of the decision of this case. Assuming that there was no “proof of life”, then the decision would be 4 to 4 which means that the Fifth US Circuit Court’s decision would stand and that would mean that abortionists in Louisiana would have to be licensed with a hospital within 30 miles to perform abortions in that state. Sorry -- -- I forgot that the case was decided on 7 February 2019….